Today Instagram has also become a top notch social media platform like Facebook, Twitter and Linked in. With around 800 Million users and 500 Million active users. Business have very much realized the importance of this account. Today at present more than 90% of the big brands have their Instagram accounts. Instagram today has also become a lead generation platform where companies give business to their clients in a very legitimate manner. As a leading Instagram Marketing Agency in Delhi NCR, India we offer Instagram Advertising Services to help businesses grow and meet their goals. We create and manage top-performing Instagram advertising campaigns for businesses. We as a creative agency use best creative ideas to craft down best and unique Instagram experiences with more than 15 years expertise we have designed most engaging content for clients. Instagram Stories and instagram feeds are helpful to promote photos or videos, products or services or build a relationship with your followers. If you have some great products and services we ensure that we'll connect you with the right audience so that that the ads reach to right people. We have a special team of specialists that do in depth analysis of your audience behavior and use advanced tools for that determines the right audience for your ads. We make best to efforts to ensure that followers and users convert on Instagram. Our agency with the help of it's best creative experts with can get you thousands of followers month after month organically. Using a good permutation & combination of tools, strategies, and influencers marketing tactics to become a brand player in the space. We always make ensure the your budget is being utilized effectively. For this we continuously do A/B testing of campaigns to see which ads will provide us with best results and we accordingly make changes in the campaign so as to reach the target audience with call to action. We design best and unique Instagram marketing campaigns that drive quality website traffic and sales. We always ensure that it's always a straight forward process to drive revenue for the businesses. We promote Instagram photography from expert professionals. With many photographs to choose from, we have the best creative experts who can promote exceptional work done by photographers to a creative Instagram posts. With more than 500 million followers and continuously growing the ad reach on this platform is 2.6 times higher than any other social media platform. Creating the brand awareness of your brand in a very effective manner. The ultimate goal of Instagram advertising is to convert customers into valuable leads for your business. Conversion can be anything like form sign ups, newsletter subscriptions, products sale and booking for services. Our focus at the end for Instagram marketing is to generate business for clients through Instagram ads. Similar to employee reposts, user generated content (UGC) is curated content from your fans and followers. Your tagged posts and posts with your brand hashtag are a great source for UGC. 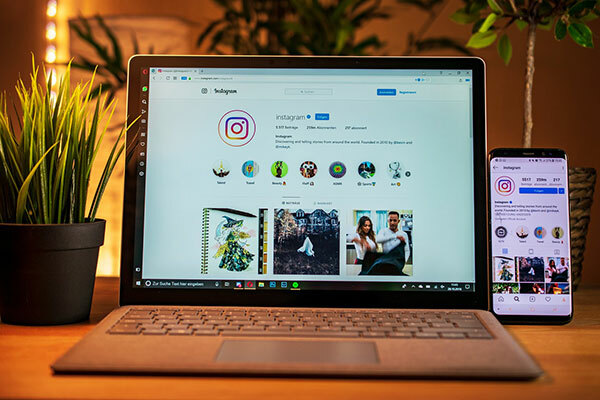 Instagram is one of the biggest Influencer Marketing Platform in India where Brands and Social Media Creators collaborate together to make branded content.